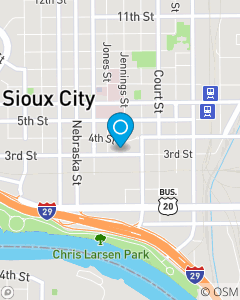 Located between the post office and the convention center in downtown Sioux City, IA. Our mission is to help our customers manage the risks of every day life on their car insurance, home insurance, renters insurance, life insurance, and health insurance in Sioux City, IA. We want to help you recover from the unexpected. And we want to help you realize your dreams with the use of financial services products. We offer a full financial analysis for our current customers. We help you plan for retirement so you can retire with confidence.